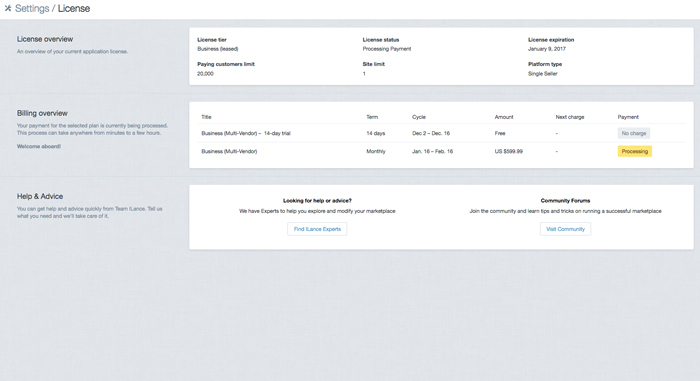 An overview of your current application license, all details of the account will be shown. You can get help and advice quickly from Team ILance. Tell us what you need and we'll take care of it.